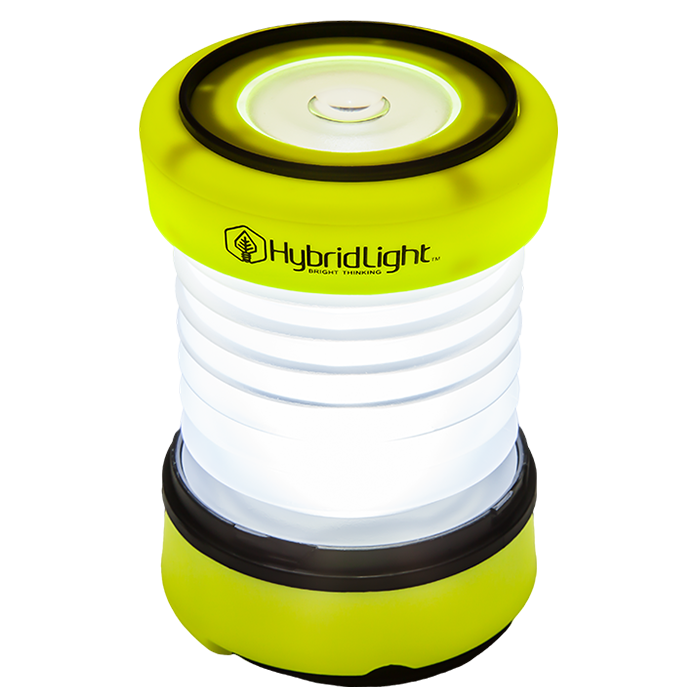 With this special offer you will receive one (1) HybridLight™ Lantern , one (1) Solar Hybrid Flashlight, and one (1) HybridLight™ Flashlight (Purple). $110 Value. All-in-one expandable lantern, flashlight, and power bank provides light when you need it most! The HybridLight Lantern is durable, lightweight and water resistant making it ideal for blackouts or emergencies yet versatile enough for everyday use. Lantern expands up to 6″ and is flexible enough to provide directional lighting. Features a convenient built-in foldable handle for maximum usability. Produces 75 Lumens of light for up to 8 hours on a single charge! Simply recharge using any light source or the convenient rapid charging micro USB input. Stored power lasts up to 7 years making this a great addition to your emergency preparedness kit. Features 4000 mAh Li-ion battery and USB output for mobile device charging. Includes USB Charging Cable. This 40 lumen solar-charged, water-resistant flashlight is handy to keep at home or while traveling. Water resistant to several meters. Replaceable watch battery acts as back-up power source. Includes adjustable wrist strap. LED lights indicate power source as well as solar charging. Engineered to keep up with every lifestyle or emergency, the HybridLight Flashlight is great for hiking, camping, at home, or on the go! Lightweight polycarbonate construction provides durability and water resistance for use in extreme weather conditions. Produces 160 Lumens of light for up to 12 hours on a single charge! Simply recharge using any light source or the convenient rapid charging micro USB input. Stored power lasts up to 7 years making this a great addition to your emergency preparedness kit. Features 2400 mAh Li-ion battery and USB output for mobile device charging. Includes USB Charging Cable.